From 28th Feb. to 12 March 2019, with my PhD student Léo-Paul and Université de Yaoundé I student Narcisse Kamdem, we traveled for two days to the far East of Camereroon, 60 km south of Yokadouma. There were very few collections of Annonaceae from this region. The roads were in bad state and the rainy season was upon us. This led to a hard field trip. Luckily we were hosted by ALPICAM who were very generous and helpful. A lot of trees had fallen on the raod so at one point we were lumberjacks rather than botanists. 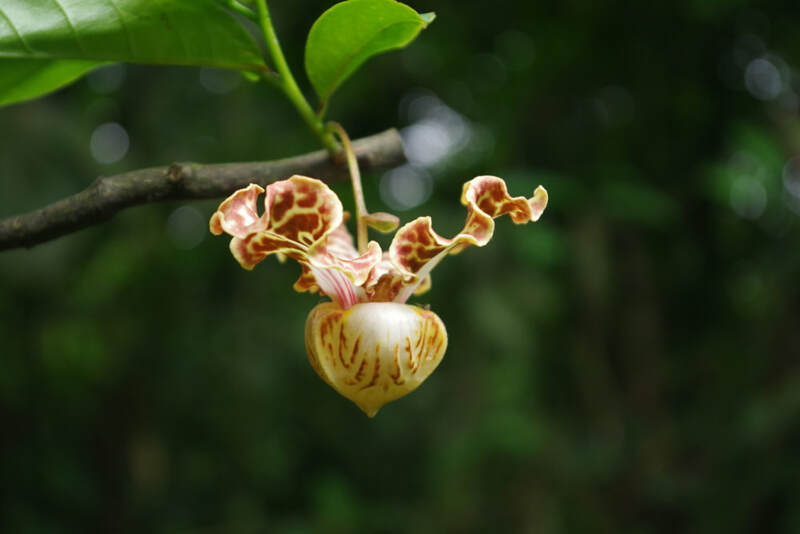 But fate was on our side as several of the fallen trees were Annonaceae in flower or fruit! 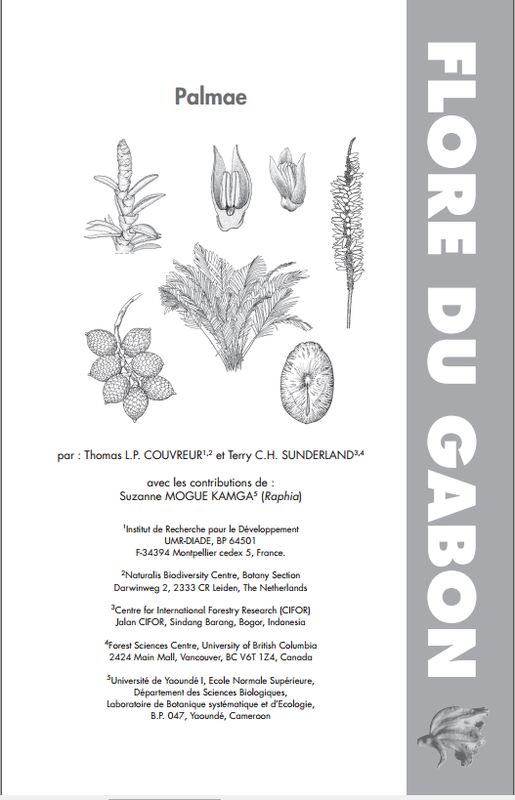 Together with Terry Sunderland, and in collaboration with my PhD student Suzanne Mogue, we just published the Flore du Gabon Palms treatment. 34 species are described in French and illustrated, in addition to easy keys to all Gabonese species. In general the podcasts are really great for anybody intrested in plants! Thanks to Matt for inviting me and the great conversation we had. Check out the website here for more! Within a review paper I am co authoring, I digitized the biogeographical regionalization results of Linder, H.P., de Klerk, H.M., Born, J., Burgess, N.D., Fjeldså, J., & Rahbek, C. (2012) The partitioning of Africa: statistically defined biogeographical regions in sub-Saharan Africa. Journal of Biogeography, 39, 1189–1372. 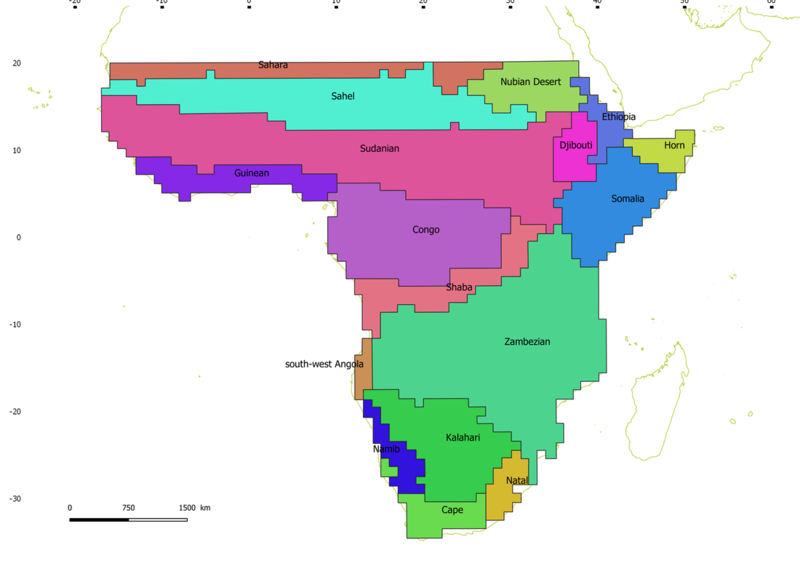 This paper uses extensive distribution data from vertebrates (birds, mammals, amphibians and snakes) and plants to generate common bioregions across tropical Africa. In total seven distinct bioregions are statistically identified, five of which are further subdivided into 15 subregions. I make the resulting shape file available for free of use, under the condition that the original work is properly cited (see citation above). This file was generated using QGIS. Below you have a view of the result with subregions indicated. Shape file available here compressed into a zip file (8 kb). In July 2018, I went into the field with PhD student Sebastian Escobar (Aarhus University, Denemark) and my colleague from the Pontificia Universidad Catolica del Ecuador Rommel Montufar, expert in Neotropical palms and their uses. The aim was to sample tagua, or vegetable ivory (Phytelephas aequatorialis) in the regions of Manabi, Los Rios and Santo Domingo. This species is endemic to western Ecuador and is used to make buttons or crafts. The leaves (called cade) are used for thatching. Because of the important deforestation in western Ecuador, this species is highly fragmented on most of its distribution. Small forest fragments provide important refugia for this species and many other plants and animals. We spent a week driving through dry and wet forests of western Ecuador, collecting tagua. The aim is to study the phylogeography of tagua, and understand how it reacted to past fragmentation, especially during the last glacial maximum. Sebastian's project also aims to understand the ecological dynamics of fruit dispersion and its social economic importance in the region. Yesterday 1st February 2018, we welcomed Andrew to our lab! Welcome! Andrew undertook his PhD in evolutionary biology at Imperial College London, on the evolution of annual killifish (Austrolebias) and other Cyprinodontiformes. He then undertook several Postdoctoral Research Fellows in plant genomics at Royal Botanic Gardens, Kew, working on hazelnut production in Turkey, demographic history of the sea campion, Silene uniflora and analyzing genomic data fora range of projects on Madagascan plants (including some palms!). He will be here in Montpellier for 2 years and will work on the comparative phylogeography of several co distributed rain forest plant species (Annonaceae and palms) across Central Africa, part of the AFRODYN project. Next stop: Cameroon for some field work and hands on discussions about rain forest evolution! Helmstetter, A.J., Papadopulos, A.S., Igea, J., Van Dooren, T.J., Leroi, A.M., & Savolainen, V. (2016) Viviparity stimulates diversification in an order of fish. Nature communications, 7, 11271. Our paper introducing our new R package called ConR: Conservation with R is out in Ecology and Evolution. ConR allows people to undertake preliminary conservation assessments for hundreds of taxa at a time. The package was specifically aimed to use IUCN criteria, in particular criteria needed for category B assessments. It is particularity suited to analyse large scale datasets containing many taxa, for example at country or even continental level. The output (tabular and graphical) provides an overview of threatened versus non threatened species, useful for identifying taxa or areas of conservation importance. 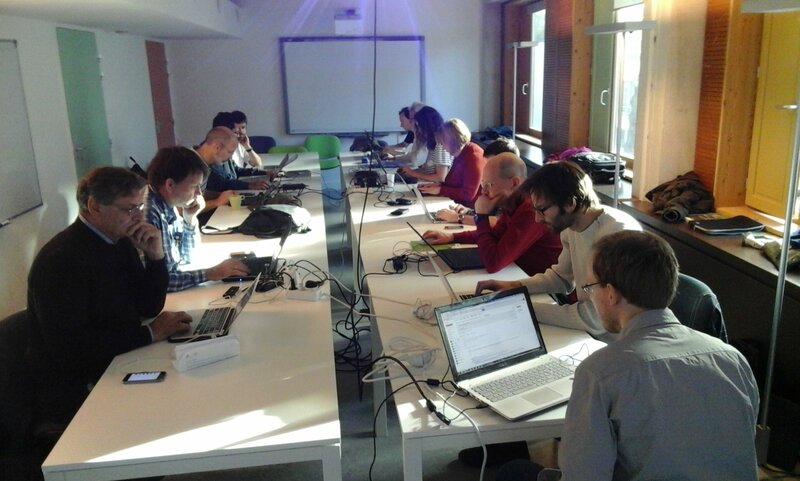 In parralelel, ConR can be used to generated all the needed parameters to undertake full IUCN assessments, for example within the framework of Red Listing workshops or for monographic studies. However, ConR output should not be taken as final IUCN ready assessments. This package was mainly implemented by Gilles Daudy in R. The package comes with a complete and detail tutorial. Below an example of one graphical output from ConR. 2 year post doc availible phylogeography Position Filled! Research Area and Project Description: This postdoc is part of the project “Central AFrican Rain fOrests: past DYNamics and future resilience” (AFRODYN), funded by the French ANR. 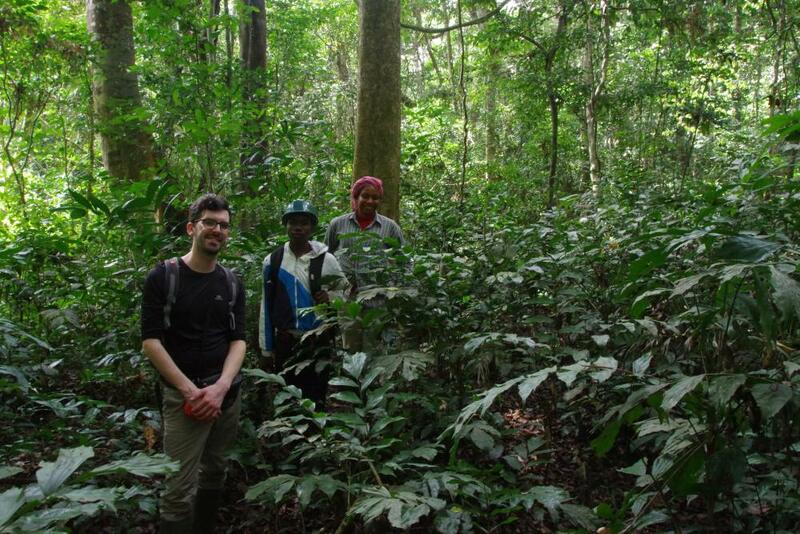 AFRODYN aims to understand the evolutionary dynamics of central African rain forests using a multispecies approach and an unprecedented DNA sequence dataset for African plant species. The overall objectives of AFRODYN are to 1) test different hypotheses of Central African rain forests dynamics in the past within and between species using a statistical comparative phylogeographic approach and 2) infer the potential resilience of this ecosystem to future climate change. Specifically, the post doc will be in charge of analyzing a large dataset of ~800 exons (ca. 200 kpb) captured for over 600 individuals of six different plant species (palms and Annonaceae) sampled across central Africa. This dataset is partly already available and no lab work is required. Finally, the postdoc is expected to contribute ideas and concepts to the project and lead at least two high-quality papers in this research area, contribute to the project’s public outreach, as well as collaborate with other team members, including students and sharing skills. Ariane Cosiaux, our international volunteer based in Yaoundé, has been Red Listing all African palms this last year. Today, her first article was published in the Biodiversity Data Journal under its new Species Conservation Profile section. 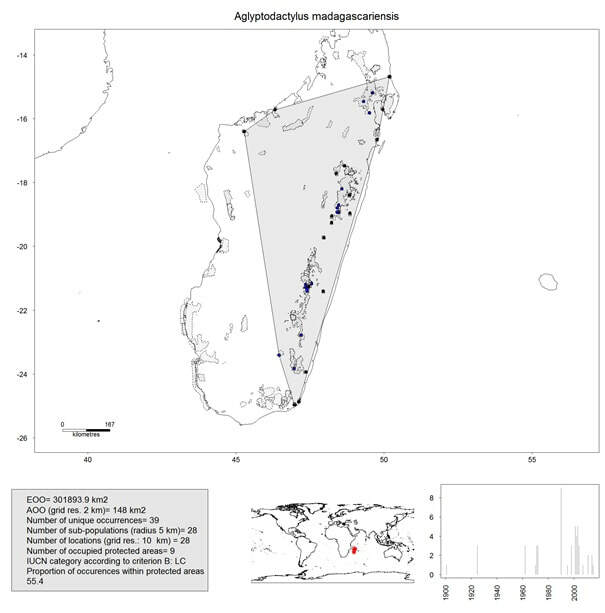 We published the IUCN conservation assessment of Eremospatha dransfieldii, a rattan species growing in West Africa (Ghana and Ivory Coast). This species was assessed as "EN" meaning endangered, the second highest threat level, just after CR or critically endangered. 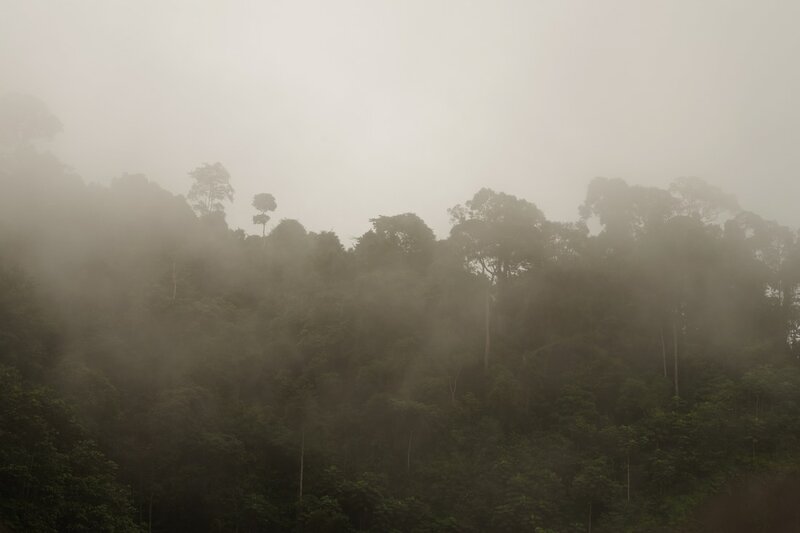 Data gathered around this species (including its distribution, field observations and ongoing and future threats) suggests that its future will be in peril if nothing is done to stop deforestation and agriculture extension in the areas where it grows. Recently a total of 8 African rattan species were also included on the official IUCN Red List, one of them even being CR. Soon, the rest of the African palm species will be published too. Red Listing is a central part of biodiversity conservation as this list is the only authoritative list governments, companies and project funders turn too when taking decisions about the impact a project has on biodiversity. As one one the co authors of this recent paper said: A species doesn't exist unless it has a conservation status (Lauren Gardiner). 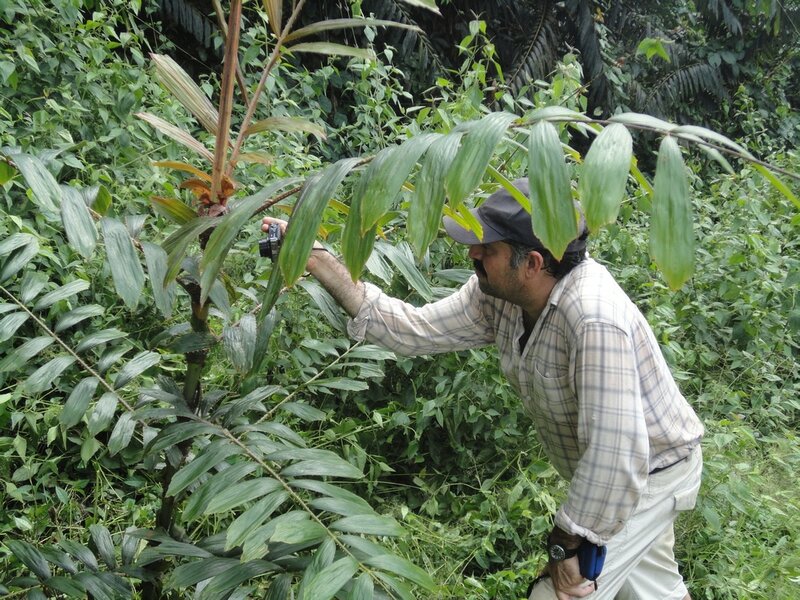 Dr. Fred Stauffer photographing a specimen of the endangered palm in Ghana. We had our last RAINBIO meeting from 5th-9th December 2016 in Aix-en-Provence. RAINBIO started back in 2013 (funded by the CESAB call of the FRB) with the aim of synthesizing plant distribution data from tropical Africa. The RAINBIO publications is now available and open access here and the database is available here. Several articles are in the pipe line, including a new R package that undertakes batch preliminary IUCN conservation assessments. More details will be available soon. We are now in the process of looking for extra funding to continue RAINBIO (2.0) and generate an online African distribution data platform.